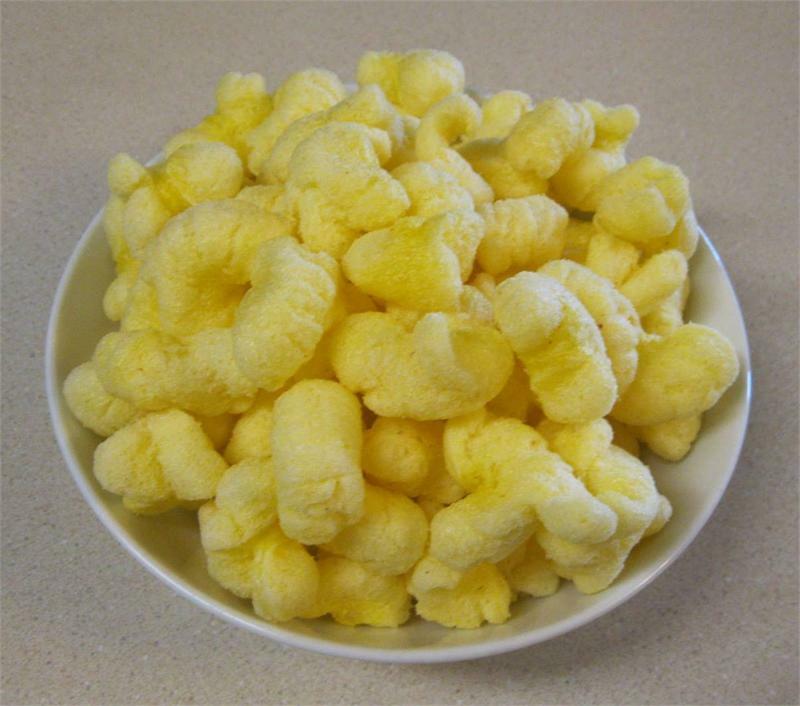 This is our most popular item - It is also called "Hulless Popcorn". 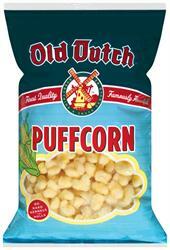 Fresh popcorn flavor that simply melts in your mouth without any hard kernels or hulls. 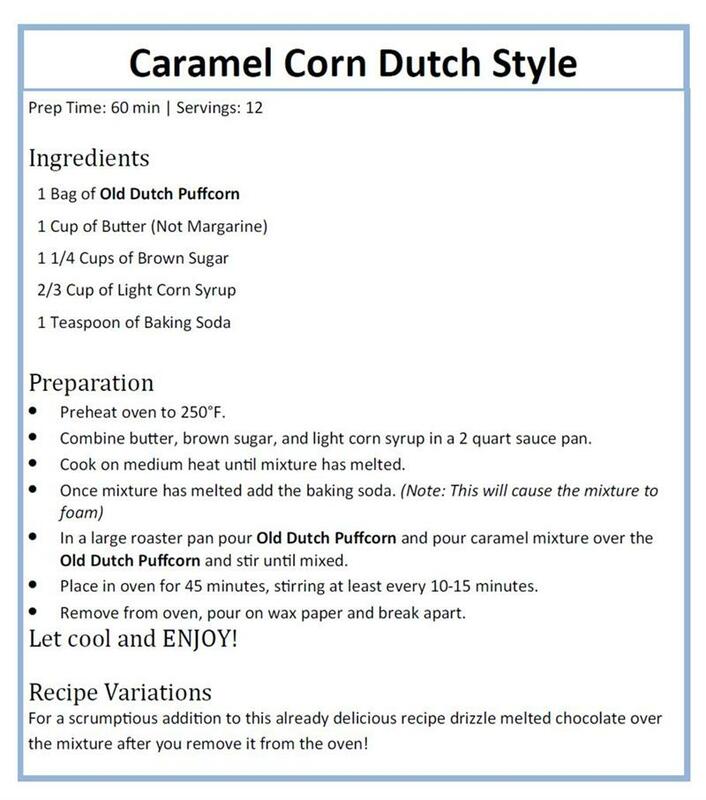 You will be the hit of the party when you make the Puffcorn with caramel. 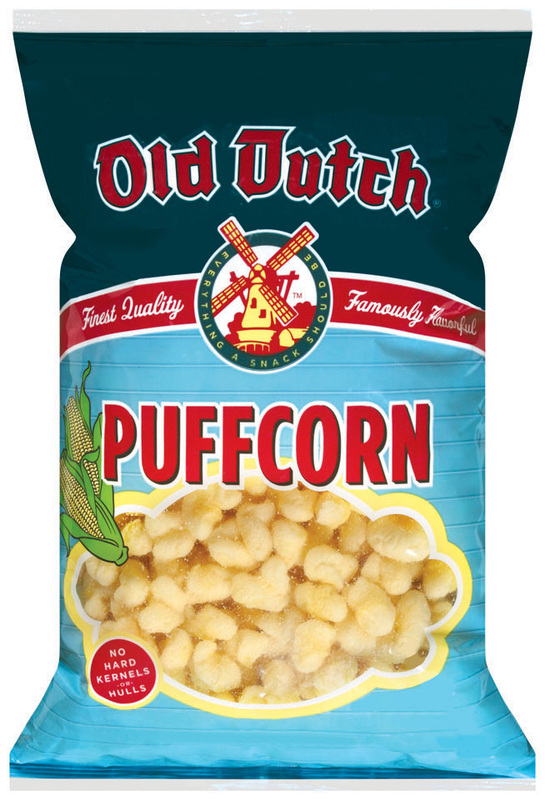 (see the recipe below) Our Puffcorn is puffed full of pure goodness with a light and delicious popcorn flavor. 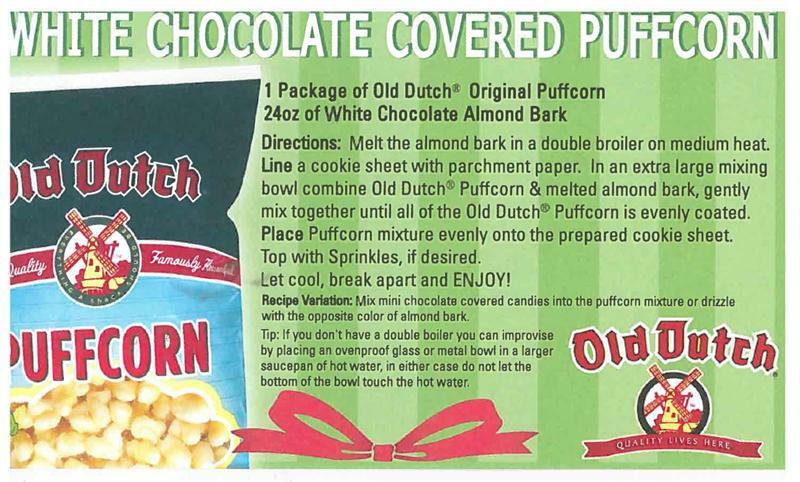 It melts in your mouth and has no hard kernels or hulls. And like all Old Dutch snacks, our Puffcorn is always homegrown and delivered from the heart of the Upper Midwest.